It has become a bit of a game with me to see what kind of outrageous thing I can feed my kid for breakfast that she will actually eat. Even though my line of outrageous is actually pretty tame, there are things on her “will eat” list that I never even dreamed existed as a kid. Who knows what she will feed her own babes in time? And will there be some left over for me? 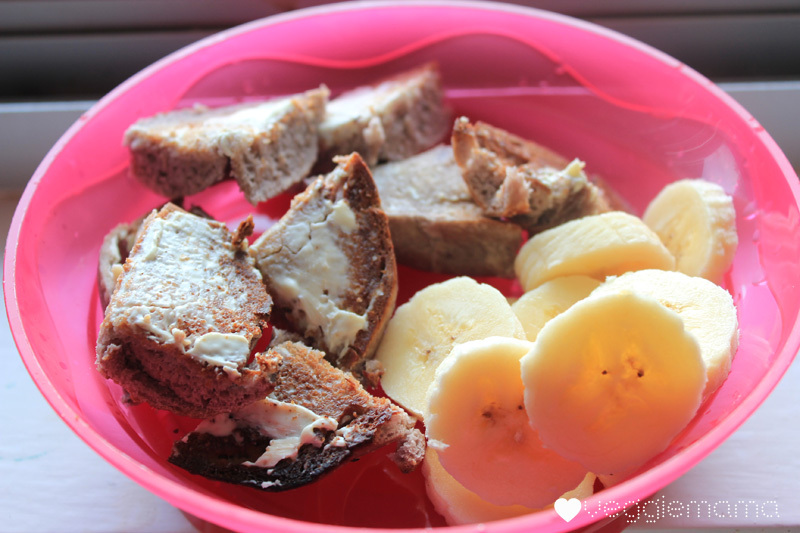 Cinnamon-raisin bagels with cream cheese and banana on the side appear to be a consistent winner. French toast with a wee sprinkling of caster or icing sugar are met with approval. As are a little side made of cinnamon-poached apple cubes. God that sounds pretentious. The apples were for something else, I didn’t solely poach it for her breakfast, I promise! 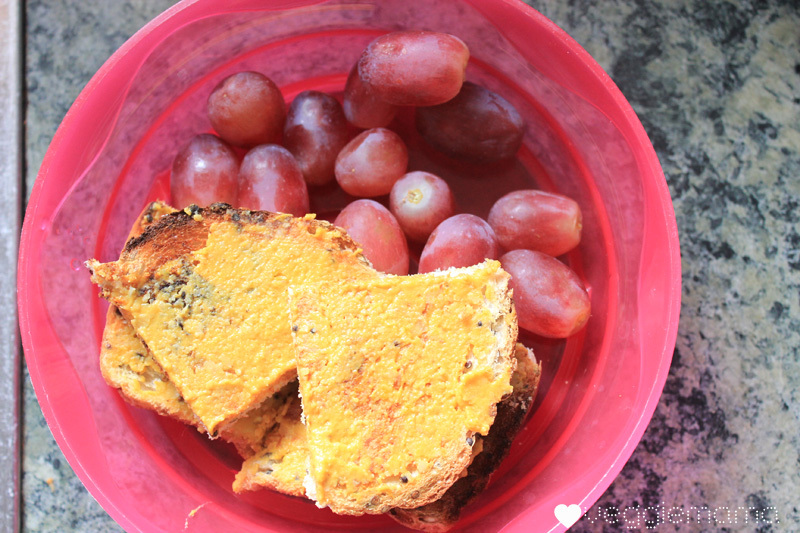 Roast pumpkin hommus on grain toast with grapes. Highly recommend this one. 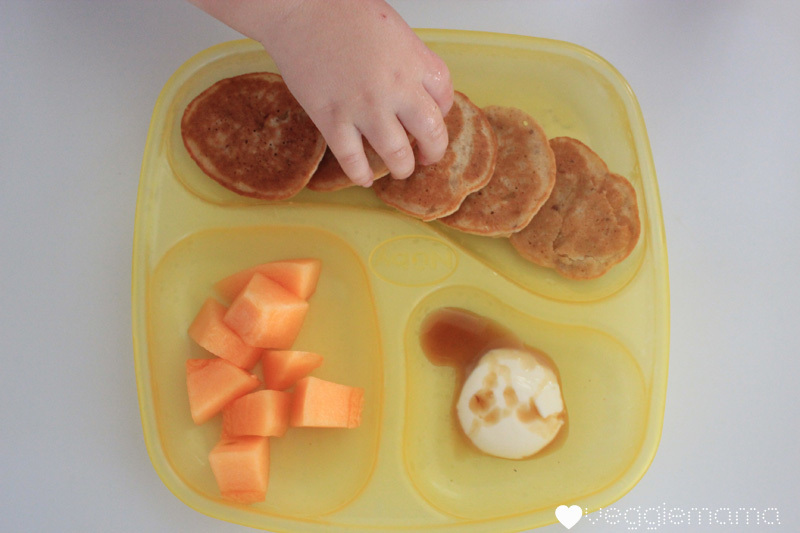 Bob’s Red Mill organic 5-grain pancakes with yogurt and honey, rockmelon cubes. Very much a win. And this morning she stole my porridge when I wasn’t looking. And made one hell of a mess. And we were in a hurry, so there is a hell of a lot of cemented-on dried porridge to hammer away at when I get home this afternoon, eeeeeeeek! « Pumpkin and Cannellini Salad with Haloumi and Kale. 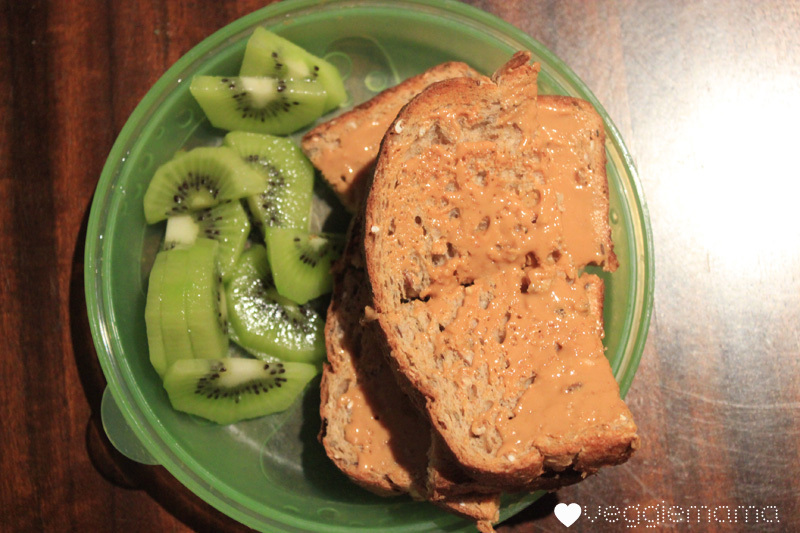 Love that these are such easy meals to prepare (toast + fruit), but so nutritious! 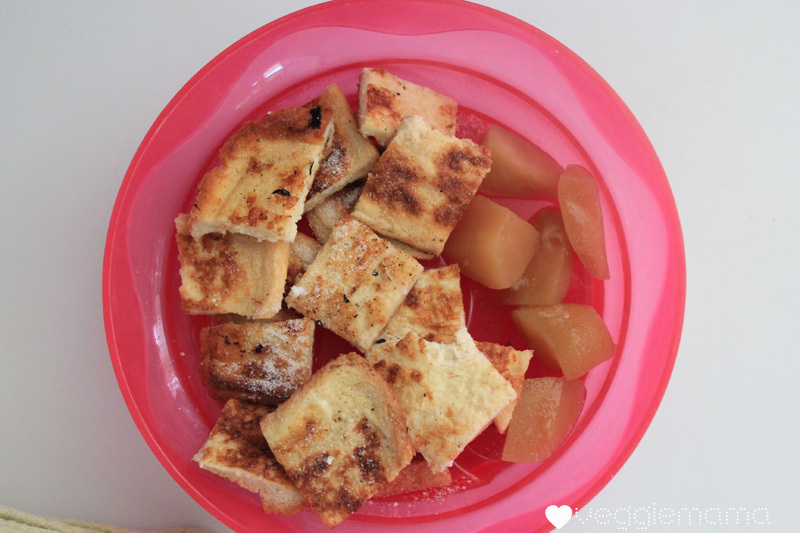 My lil babe chomps through two bowls of sultana bran each day and then has toast and fruit for morning tea – what a little sumo!! My little man has warm Vita Brits or porridge each morning and I stew fruit for sweetness rather than sprinkle sugar. Loves it! It was a crumpet with a smear of honey and a mix of strawberries and kiwis for breakfast here. And I know this is completely unrelated but did you know that you can make hot chocolate in the Soup & Co? I have been so busy making soups and smoothies that I am only just now sitting down to look at the included recipe book…and it mentions hot chocolate. I am off to try this right now…I can only imagine how creamy and chocolatey it will be…heaven!